There is a fierce (some are calling it “historic”) storm – a Nor’easter – raging in New York right now. I was supposed to be speaking at the 92nd Street Y today but that has been rescheduled to Thursday, February 12th. I think we need some humor and some beauty in today’s posting so here it is – enjoy! I enjoyed your blog today, especially the flowers. 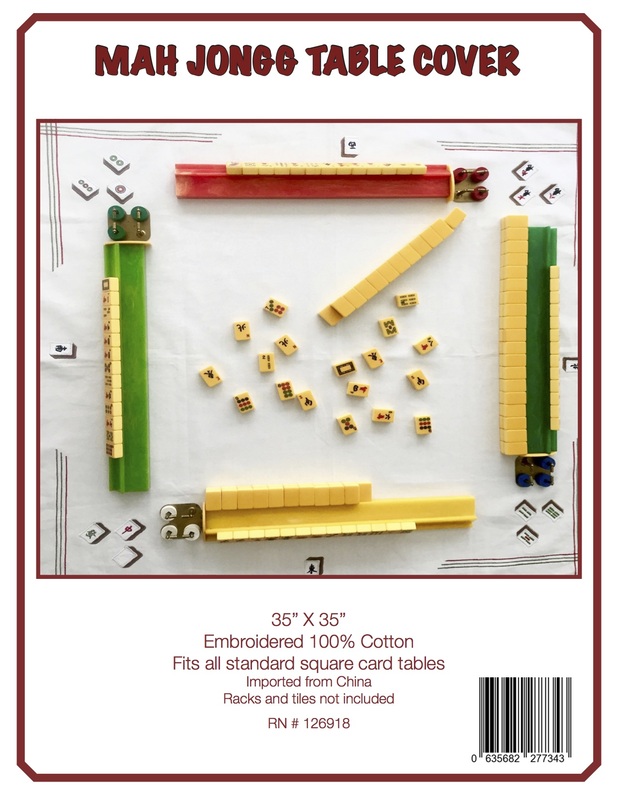 I think all mah jongg players love flowers; both tile flowers and garden flowers. With the sparkle and glow of Chanukah gelt and candles, I gave each of our Mah Jongg group an amaryllis bulb to plant. We had great fun comparing the progress of the growth of each, and had a great laugh over the one who planted hers upside down. That one was named “Corrigan” for “Wrong Way Corrigan” of past football fame. Others were named “Audrey III” (after the man-eating plant in Little Shop of Horrors”) Wimpy, Hope, Jack (for Jack in the Beanstalk), etc. The first to bloom received the Golden Pot Award; a small flower pot painted gold and planted with a small succulent. She named it “Gilda”. Now in the gray month of January, we are enjoying bright blossoms to cheer us. Like your tulips, we too are reminded that Spring will come. As for The Game, last week we had a thrilling day. 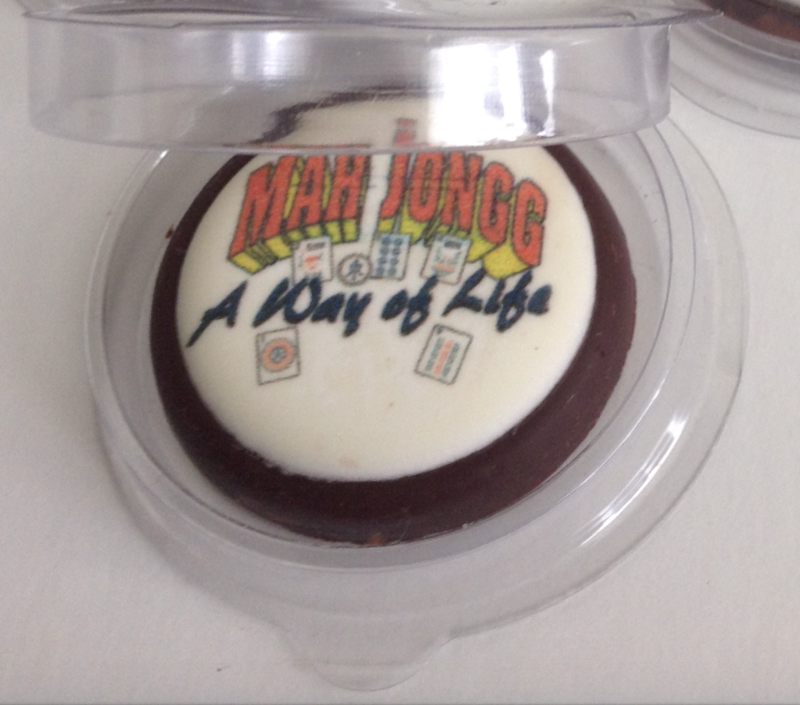 With several of us close to winning, the hostess picked up the last tile for a Mahj! Unbelievable!! It goes to show, the game’s not over til the last tile has been played. I just thought you might enjoy this. The amaryllis name that I forgot to mention was Seymour. I was notified today that he is just beginning to bloom. I didn’t name that one. One of our group named it. Mine is Wimpy for being so slow to get started. It is also the shortest one. There is more to the story of Seymour. He was very slow to grow. 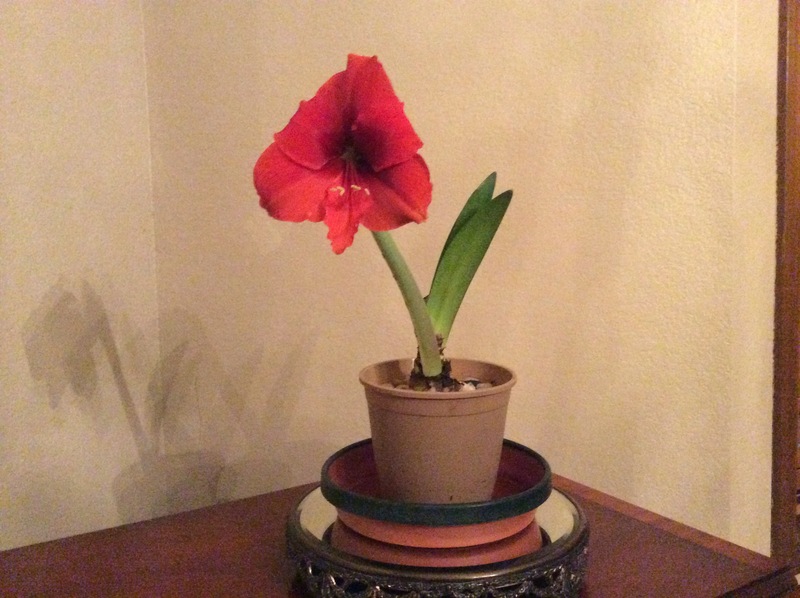 Then the husband cut himself shaving, and dropped a few drops of blood into the plant. It grew 2″ overnight. Ha! Talk about laughs. I am sure you have seen “Little Shop of Horrors” and can appreciate these crazy stories. Thanks again for all you do for the mahj world. Thanks to Diane for sharing all of this – it is too good! 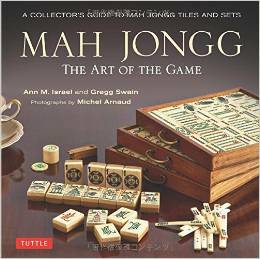 This entry was posted in Mah Jongg and Me and tagged amaryllis, chanukah, gelt, mah jongg, tulips on January 27, 2015 by Mah Jongg and Me.